Arcanum is Ohio’s best kept secret, nestled in the heart of Ohio’s agriculture farm belt, we enjoy a quiet life but have quick access to the larger metropolitan areas. Located just off State Route 49 in Darke County, we are approximately 35 miles NW of Dayton, Ohio, and 15 miles east of the Indiana border. Interstate 70, 18 miles south of the village, provides an east-west thoroughfare. Less than 25 miles, one has access to the major north-south thoroughfare of Interstate 75. These crossroads allow quick access to various venues. St. Louis, Missouri; Springfield, Illinois; Erie, Pennsylvania, and Nashville, Tennessee, can all be driven in less than 6 hours. For further destinations, Dayton International Airport is an approximate 25 mile drive. Our surrounding roadway system also allows for an array of higher education close to home. The Darke County Branch of Edison Community College is within 17 minutes, with its main campus in Piqua being just a 37 minute drive. Other universities/colleges within an hour drive of Arcanum include: Wright State University (Dayton) and Wright State University Lake Campus (Celina), University of Dayton, Sinclair Community College (Dayton), Indiana University East and Earlham College (Richmond, IN). 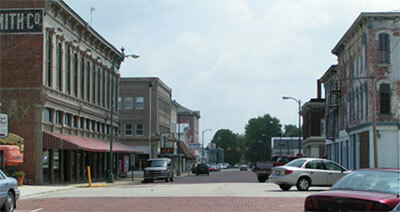 The Village of Arcanum’s motto is ‘Arcanum – A Destination Place’. With the idea of giving business’ the best opportunity to make their destination in the Village of Arcanum, the Village has taken steps to invest itself in established business as well new business willing to invest of themselves in our community. The Village of Arcanum along with The Darke County Economic Development Office and The State of Ohio can offer competitive incentive packages to those businesses that are willing to retain and/or create jobs in the Village. Education is a very important component of our community. Every effort is made to ensure the highest quality of education, athletics, and youth activities are made available to our young people. Highlighting our effort to ensure a quality education, Arcanum Butler School district opened a brand new facility in January 2011. At a cost of 29.5 million dollars, the new facility provides the latest technology in education to k-12th graders and houses the district offices. Arcanum-Butler High School is rated excellent by the State of Ohio. Our village offers three lovely parks and a community swimming pool for relaxation. The Arcanum Community Park and Ivester Community Park provide ball diamonds, tennis courts, basketball courts, sand volleyball, playgrounds, family picnic areas with shelters, grills, and public restrooms. Veterans Memorial Park honors the brave heroes of our community and Arcanum Community Pool provides an up-to-date swimming facility. The culmination of these parks provides for a variety of outdoor facilities. Though some may say Arcanum is in the middle of nowhere, we’re not far from anywhere! 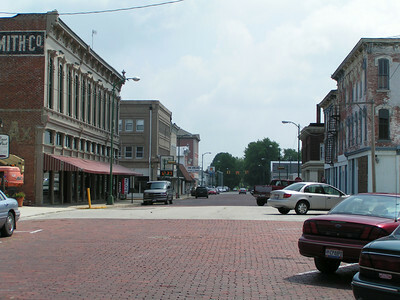 Arcanum provides the community with municipal water and electric. An array of thriving businesses already call us home, but we always have room for more. Just give us a call or stop by our offices. We would be glad to show you around!